These rules are based on decisions made at General and Committee meetings and are intended to provide an easily read guide for the day-to-day conduct of the Eurobodalla Orchid Club (the Club). They are supplementary to the Club’s Constitution, copies of which are available on the Club’s Website, as are these Rules, and available also from the Secretary. Membership is open to all but there is no provision for corporate membership. There is a joining fee of $8.00 per person. Fees and subscriptions are reviewed at the Annual General Meeting held in November. Subscriptions are due for payment from 1st January and must be paid by 31st March. New members must pay the joining fee and first subscription within one month of membership being approved. Life Membership may be granted to a member who has served the Club in an exemplary manner. Life membership is the highest honour the club can bestow on a member and is to be restricted accordingly. Nominations, including the reasons for nomination, should be lodged with the Secretary. The Committee may grant Honorary Membership to appropriate individuals for specific periods. Honorary members have no say in the management of the club. All adult members are classified as either an ‘Open’ or ‘Novice’ exhibitor for the purposes of Orchid Shows and monthly Club benchings. All new members who have not belonged to another Orchid Club are automatically placed in the Novice class and will remain in that class until the Committee decides that promotion to the Open class is warranted by the Member’s knowledge, experience and quality of blooms. The Committee normally expects a candidate for promotion to have obtained first place in at least three different genera at Orchid Shows – promotion takes effect from 1st January following the Committee’s decision. A new member who is or was an Open exhibitor in another Orchid Club will normally be classified as Open on joining the Eurobodalla Orchid Club. An Open exhibitor may show orchids only in the Open section. A Novice exhibitor may show orchids in either the Open or Novice section for monthly benching and shows run by the Eurobodalla Club, but note that at shows run by other Clubs ‘foreign’ Novices may be required to show in the Open section (i.e. their Novice section is restricted to their Novices). Similarly most (but not all) clubs affiliated with the Orchid Society of NSW accept show entries from any member of another affiliated club – members must study the relevant Show Schedule carefully to determine eligibility. CONTACT DETAILS. Members are required to notify the Secretary in writing of any change of contact details or of an intention to resign, in order to maintain an accurate, up to date Membership Register. NAME BADGES. Club name badges must be worn at all Club functions. The badge features the Club emblem (Blc. Malworth ‘Orchidglade’). GUESTS AND VISITING MEMBERS. Guests of members and members of other Orchid clubs may attend Club functions. Hosts should introduce their guests to the President or Chairman before the functions starts. SMOKING. Smoking is not permitted at any show, display, general meeting or Committee meeting because of the risk of spreading Tobacco Mosaic Virus. Smokers must wear rubber gloves at any time they are required to handle plants and if they wish to smoke at any time during club activities must do so well clear of the venue. ALCOHOL. The consumption of alcohol is not permitted at any Show, Display, General meeting or Committee meeting. DISEASED PLANTS. No member may bring into any Club activity any plant which is suspected or shows signs of a pest, virus or disease unless it is sealed in a transparent container. The Club holds a General Meeting each month except January, the dates and venues being promulgated in the Club’s Newsletter. Whilst attendance at monthly meetings is not compulsory members must attend at least two meetings per year if they wish to sell orchids at Club functions – refer to Sales Table requirements at paragraph 21. Members are required to sign the attendance book at each meeting they attend. The Club purchases a number of seedling orchids (usually two genera) and sells them to Members. They then become the Members’ property. Initially plants will be offered on the basis of one per membership – any left over will then be offered on a ‘first up, best dressed’ basis. Members bring their seedlings along to monthly meetings regardless of the condition of the plant. They are inspected and discussed by a judging panel and points are awarded. The competition continues until a member presents a GROWCOMP plant in flower; that Member is awarded a bonus three points and the competition is concluded. A certificate is awarded to the Member with the highest number of points. Dead heats all score the appropriate number of points, i.e. points are not divided. Members who purchase more than one plant in a genus may select ONE ONLY for judging at a particular meeting but may present another at a later GROWCOMP meeting. As it takes more than one year for some genera to flower there may be several GROWCOMPs running at any given time. Only well established pest and disease free plants may be offered; the Committee reserves the right to reject plants without giving a reason. If space permits, the Committee may invite other growers to participate in sales. The Club will not be liable for any loss or damage to the plants offered for sale. Each pot must have a removable tag showing the sales price and the seller’s name or other designation agreed by the Member in charge of the Sales Table. A commission of 10% of the sales price will be charged by the Club, and sales’ proceeds will be paid to Members by cheque. The Club may sell orchids and related merchandise at meetings, displays and shows. A guest speaker at a Club meeting may sell orchids and related merchandise at that meeting in which case paragraphs 21 and 22 will not apply for the duration of that meeting. Guest speakers will not be charged a commission on sales. Unless otherwise advised in the Club Newsletter, each Club Meeting includes a benching of Members’ orchids in much the same manner as a Show. The meeting venue is normally open from 6.30pm. and Members must have the plants they are showing in position by 7.00pm. There is no entry fee and no limit on the number of plants a Member may show. Members exhibiting plants must comply with the general provisions of the Rules and Conditions contained in the Club’s Show Schedule. Any questions should be directed to the Show Marshal whose decision is final. Voting is by all the members present, with each member nominating the plant that he or she believes to be the best in each class and selecting a ‘Plant of the Night’ in each of the Open and Novice Divisions. The votes cast are collated and points awarded to growers as per the following formula: 1-3 plants (1st only) 4-6 plants (1st &2nd,) 7+ plants (1st, 2nd, 3rd.) Also, 1 point is awarded for each class that a plant or plants are benched in. These points accumulate during the year and certificates are awarded annually. The Club maintains a library of books, periodicals, reports and other orchid-related documents for loan to members. The library is free and operates on an honour system – cards are provided for members to sign books out to themselves. All books must be returned at the next meeting. All exhibitors at Shows conducted by the Club are to conform with the provisions contained in the Show Schedules – these are usually issued to all Members about a month before each show. Any member who has a complaint or dispute with the Club or with another member with regard to Club matters should first discuss the question with the Club’s President or Vice-President in an endeavour to find a solution with a minimum of angst. The Constitution contains provision for the formal stating of complaints, disciplining of members and the appointment of mediators but these should be used as a last resort only. 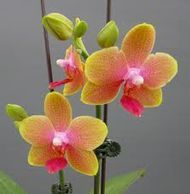 At State level, the club is affiliated with the Orchid Society of NSW which represents us on the AOC. The Club meets at the CWA Hall in Queen Street, Moruya on the 2nd Wednesday of each month commencing at 7.30pm (Hall open from 6.30pm). No meeting in January - date and location of December meeting varies. Members should bench their plants by 7.00pm for judging. A Sales Table is available where members can purchase pots, growing media, fertilisers and other specialist items. 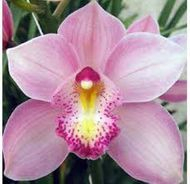 Members can sell-off surplus orchids through the Sales Table - the Club retains 10% commission. Members are classified as either 'novice' or 'open' exhibitors for Show purposes. All new members are automatically placed in the 'novice' category until they demonstrate orchid-growing expertise. At least two competitive Shows are held each year in Moruya and Narooma. All members are expected to help with the running of Shows. The Club also mounts exhibition displays in local shopping centres. 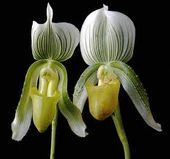 The Club is affiliated with the Orchid Society of NSW and the Australian Orchid Council. These bodies organise shows at State and National levels and train and regulate judges and judging standards. Arrangements can be made for more advanced growers to attend judging courses if they wish. 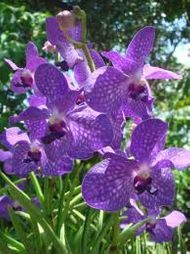 The Club supports research into orchid culture and the study and conservation of our native orchids by making regular donations to the Australian Orchid Foundation. 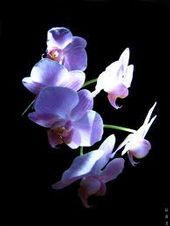 The Club's library of orchid-related books and journals is available free to members. Members are encouraged to mix socially through a program of outings to shows and places of interest, not always with an orchid context. The Club is incorporated under the Associations Incorporation Act (NSW) and has a $10 million public liability insurance cover - these measures should protect members in the event of an accident. The Eurobodalla Orchid Club Inc. takes no responsibility for anything said by a member or a visiting speaker.